LONDON — Disparaging reactions to Prince Harry's relationship with actress Meghan Markle have highlighted the racism and class snobbery that persist in British society. 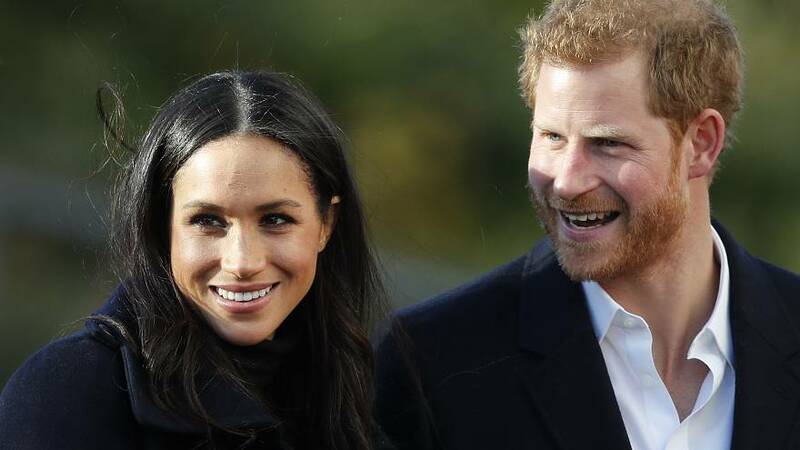 The American will become the first person who identifies as biracial to join the upper echelons of the U.K.'s royal family when she marries Harry on Saturday. But some black women said coverage of the Los Angeles native's roots by some media outlets is indicative of the underlying racism that they experience daily. "I feel like racism in the U.K. is pretty insidious," said Paula Akpan, a co-founder of Black Girl Festival which celebrates black British women. She added racism tended to be "not as openly acknowledged" as in the U.S. Following the engagement announcement in November, The Daily Mail publicized one of its stories with a tweet reading "from slaves to royalty, Meghan Markle's upwardly mobile family." In 2016, the newspaper suggested that Markle was "(almost) straight outta Compton." Journalist Rachel Johnson, the sister of British Foreign Secretary Boris Johnson, once wrote in The Mail on Sunday newspaper that Markle could help bring "rich and exotic DNA" to the royal family. She also described Markle's mother as "a dreadlocked African-American lady from the wrong side of the tracks." Days after their wedding plans were revealed, The Spectator magazine questioned the "Suits" star's suitability for Prince Harry because she is divorced and attended a Catholic school. "Obviously, 70 years ago, Meghan Markle would have been the kind of woman the prince would have had for a mistress, not a wife," a comment piece read. In 2016, Harry took the highly unusual step of asking the media to stop the "wave of abuse and harassment" against Markle. The prince cited a "smear" on the front page of a national newspaper, "racial undertones" of newspaper opinion pieces, and "outright sexism and racism of social media trolls." Akpan said she felt much of the objection to Markle was to do with her mixed background. "We all know what you're trying to say, spit it out, say it," she said, citing "the quiet and unique brand of racism that takes place" in the U.K.
British comedian Gina Yashere, who is based in the U.S., said there is always an undercurrent of racism in society on both sides of the Atlantic. "It's more outward in America, not so much in England. In England they like to use sort of dog-whistling terms like exotic," she told Britain's Channel 4 News. "She's not exotic," Yashere added, referring to Markle. "She's not from a tribe in the Amazon. She's American." Markle, whose mom is African-American and dad is white, has described herself as a "strong, confident mixed-race woman." Charlie Brinkhurst-Cuff, deputy editor of gal-dem, an online magazine written by women of color, said she felt some U.K. press coverage betrayed how the British elite feel about people who look different to them. "Britain is not in the grand scheme of things a multicultural country, especially compared to the States," she said. "We're very much a minority here and there is a lot of prejudice against black people." The number of black Britons living in the U.K. is relatively small. Three percent of the population in England and Wales identified as Black British, Black African or Caribbean, according to official data from the 2011 census. Only 2 percent of respondents identified as being of mixed ethnicity. "I think a lot of people think we're in a post-racial society but it certainly doesn't feel that way for the black and brown people living here," Brinkhurst-Cuff said. "Racism is still alive and cooking here." Akpan agreed. "Britain is still racist, it's still very racist," she said. However, British commentator Afua Hirsch suggested that when Harry marries Markle it would "change Britain's relationship with race" forever. "Don't underestimate the symbolism of a royal marriage," she wrote in The Guardian. "From now on, it will be impossible to argue that being black is somehow incompatible with being British." But while Akpan said she recognized the enormity of having a woman of color as a member of the royal family, she didn't think it would have much bearing on black people living in the U.K.
"When we start unravelling everyday racism then we can talk about race relations moving forward," she said. "People are ignoring that there is still so much work to be done." Reni Eddo-Lodge, the author of "Why I'm No Longer Talking to White People About Race," said the royal wedding shouldn't be seen as a huge step forward. "Markle is not Britain's Obama moment," she posted on Twitter. "Being chosen by a prince is not democracy." Akpan said she felt Markle's "proximity to whiteness" made her more "palatable" to the royal family. "As a dark-skinned woman … I'm still very much aware that if it was a woman who looked like me, would she have even been considered?" she asked. Akpan and Brinkhurst-Cuff both don't hold out much hope that Markle could significantly impact Britain's race issues. "You're always setting up yourself for a bit of fall when you put expectations on one person of color, or woman of color, and expect them to be the redemption you've be waiting for," Akpan said. CORRECTION (Dec. 2, 11:50 a.m. ET): An earlier version of this article misspelled the last name of a British comedian. 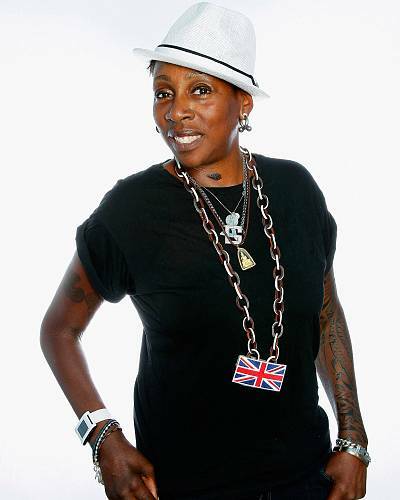 Her name is Gina Yashere, not Yahere.